2 Comments Published by Dr. Beyster May 27th, 2014 in Employee Ownership, San Diego. I was pleased to learn of my daughter Mary Ann Beyster’s selection for the Judge’s Award by the Global Equity Organization at their recent annual conference in Miami. This is quite an accomplishment, and I am proud that Mary Ann was recognized by the group for her work promoting broad-based employee ownership globally. Mary Ann and her team at the FED, along with the staff of the Beyster Institute, are accomplishing great things in the area of employee ownership. 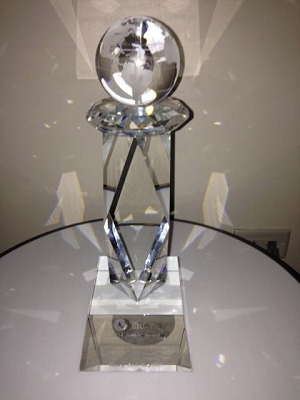 I have included a photo of the award below. 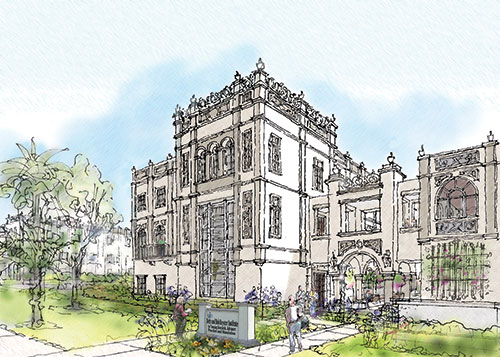 On May 12th construction began on the Betty & Bob Beyster Institute for Nursing Research, Advance Practice, and Simulation at the University of San Diego. DPR (an employee-owned company, featured in the film We the Owners) is the contractor of record, and construction should be complete by August 2015. The facility will specialize in health research for women, children, elders, veterans, and palliative care patients. To get an advance look at what the finished building will look like, please see the photo below. My friend and colleague Dr. Joseph Blasi recently appeared on MSNBC, where he talked about shared capitalism and employee ownership. It is an interesting interview and worth having a look. I hope everyone had a good Memorial Day. Betty and I enjoyed a relaxing day at home. Great to see Mary Ann’s work recognized!